Por Xtreme Bikes Media el 29 octubre, 2015 en News Blog! 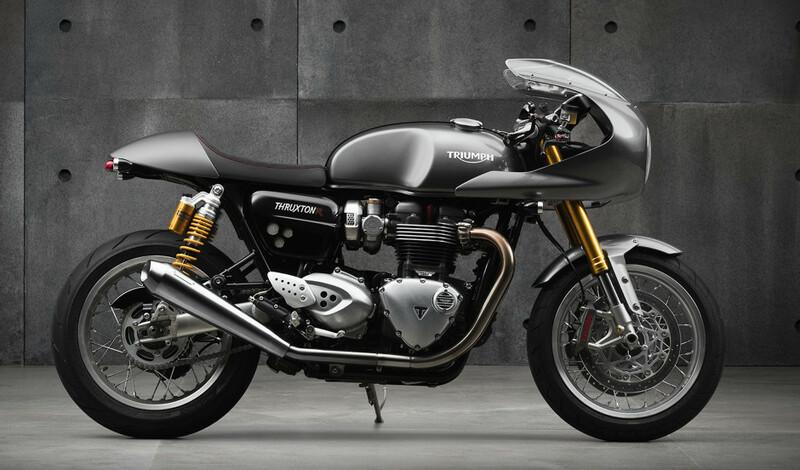 Look at the new Triumph Thruxtons, and you see thoroughly updated modern classics, machines that embrace the appearance and aesthetics of café racers that were new a half-century ago. 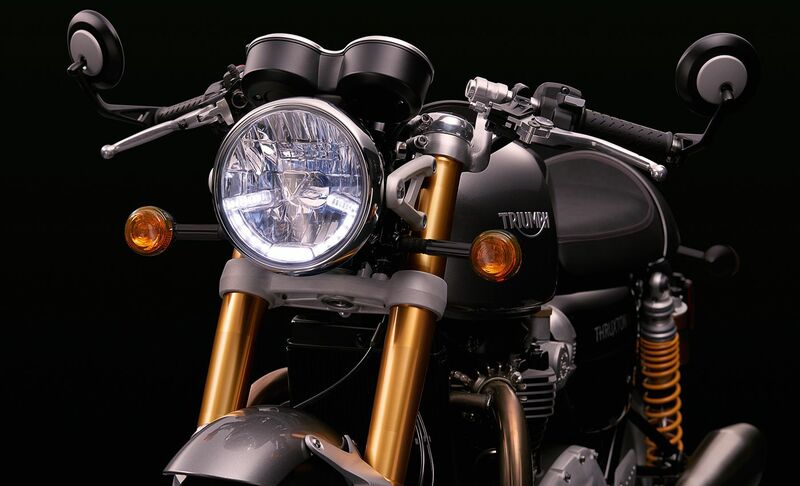 But if you look hard enough, you can also see something else: The new Triumph Motorcycles Ltd, John Bloor’s Triumph, embracing the heritage of the defunct Triumph Engineering Company, the original Triumph, in a way that it has never done before. Both Thruxtons got a long, contoured tank that looks as if it could have been made by Colin Seeley in 1967, a tank with the first Monza-style cap seen in ages, artfully designed to be acceptable to modern safety sensibilities. Both received a large-section aluminum swingarm, for the increased stiffness and handling improvements that brings. 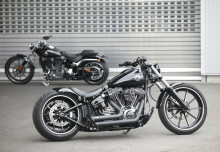 And both received a special, low-inertia, high-compression version of the new 1,200cc engine. 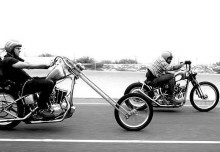 Its 270-degree crank was lightened relative to that of the regular Bonneville and T120, for quicker throttle response. 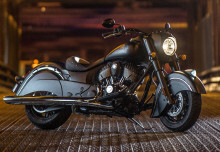 The compression increase and a freer-flowing airbox produce a high and very smooth torque curve, one that Triumph claims peaks at 80 pound-feet at 5,000 rpm, a huge jump from the previous model. More impressive was the breadth of the curve that was briefly flashed on screen at the press launch, with torque staying within 10 percent of peak from 3,000 rpm almost to the 7,000-rpm redline. If that holds for production, the stock Thruxtons will approach the 100-hp level. A new slipper/assist clutch, though, allows that power to be transmitted to a six-speed gearbox while requiring only a light lever effort, reduced below that of the less powerful and smaller-displacement previous generation.